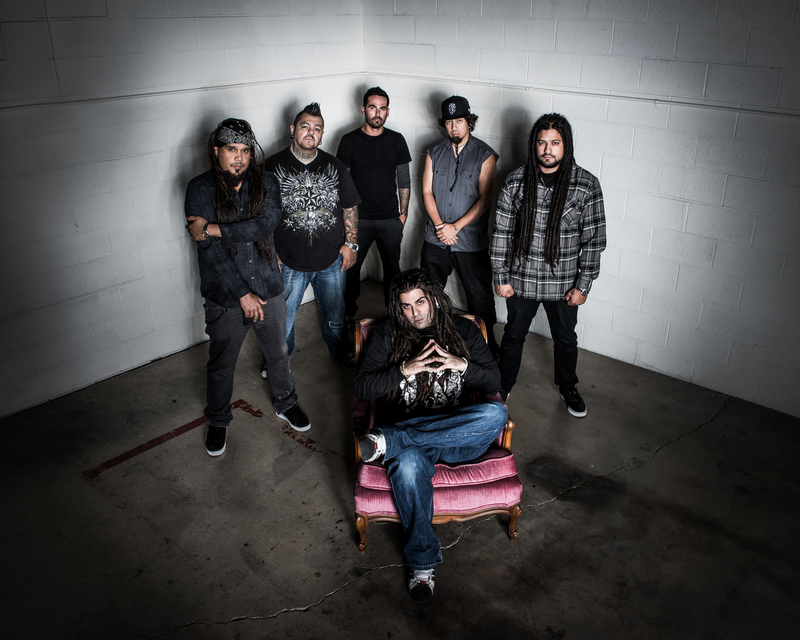 Ill Nino burst onto the scene back in 2001 with the memorable Revolution Revolución, a Latin-infused shatteringly heavy record that turned the nu-metal scene on its ear. Now, some 15 years and six more albums later, the band continues to thrive in today’s metal scene thanks to their unique take on heavy music. The band released their seventh record, Till Death, La Familia, back in 2014, a record that plainly proves Ill Nino is as strong today as they were in 2001. They are currently working on their eighth studio album, which is expected to be released sometime later this year. 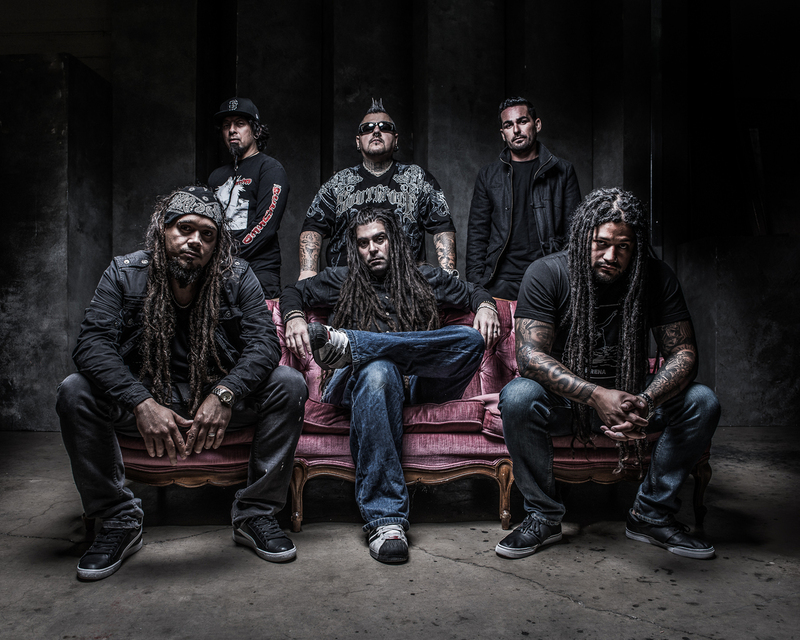 Frontman Cristian Machado provides us with an in-depth look the band’s latest record and everything that went into it, the bands relationship with Victory Records and how the dreadlocked frontman looks back at the bands career. 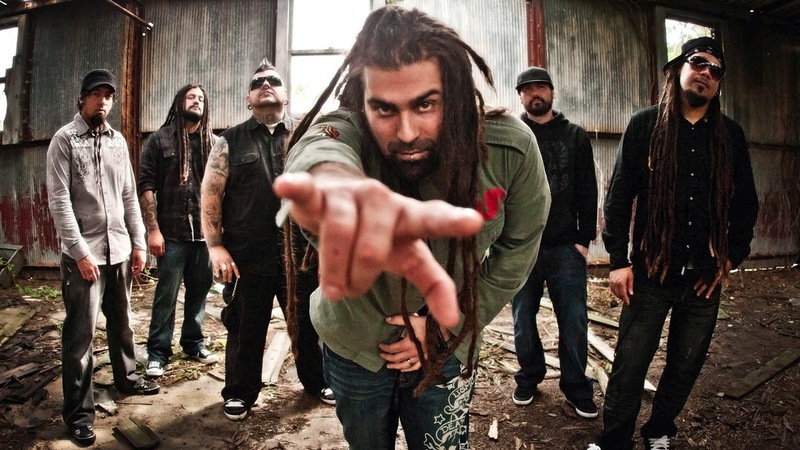 He also answers if he thinks we have seen the best of Ill Nino yet. Get eXposed Music: Tell me about the recording process of Till Death, La Familia. How did the process vary from recording sessions in the past given this is your seventh go around? I could imagine that no two studio sessions are ever the same but do you feel at this point in your career this is something you have down pat? Cristian Machado: We certainly did not use the same approach when recording Till Death, La Familia. It's unfortunate that we all live spread out across the country so that makes it complicated when trying to secure material & concept for an album. We all did our recording separately in different states and in the end it really glued together perfectly. This time I personally had the great pleasure of working with Eddie Wohl who recorded all of my vocals allowing me a comfort level that I had not experienced on our last two releases. The last two releases were more of a self-production and furthermore a self-recording as well. Although some of the guys in the band still followed that pattern for this album, I was blessed with Eddie. Looking back now, it allowed me time & intuition not previously present in the past. Concerning all the vocals & lyrics, I personally didn't want to force anything. The guys in the band did a tremendous job writing really cool tracks and I simply wanted to compliment the deep melodic content present in the instrumentals they sent me. I simply wrote from the heart and most importantly from the gut. I wanted to do things that I felt good about and stick with ideas that were more intuitive rather than over-thought. I really didn't want to be anything more than another instrument in the band. A lot of credit must be given to the guys in my band as I feel I had the easy job of having fun writing cool vocals over cool music. After so many years of working together it can become frustrating trying to connect on the same level but, I can honestly say we found a way to make it fun & powerful. What were some of the driving inspirations in writing this record? You’ve always been able to balance passion and aggression in your songwriting. Is that a result of your writing style or does it always seem to just happen that way? I believe it comes from the many, many different style inspirations we derive from. We are a band that listens to all genres and we all appreciate different artists. You can obviously tell we are all metal heads but underneath that lies a love for rock music, Latin jazz, pop and world music. To be in a band is to create a unified concept of many different patterns of musical thought. We strive to always release albums that differ from our past material and without being well-rounded music fans we wouldn't have that drive. On TDLF we dug pretty deep and the melodic and lyrical content is very forward. Our message is of unity not negativity. There may be times where a lyric reflects a violent thought only to be followed by its opposite intention, the control of the ego. Inside we are all the same and our souls dance through life in concert with each other, sometimes our ego gets the best of us and suggests a reaction in which we can or cannot sink into. A lot of the new album dives into that thought process and much of it is dedicated to our fans and families for their undying belief and support in our culture metal. Do you consider Till Death, La Familia as a return to form in a sense? Some, myself included, are saying it’s your best record since Confession. I do feel TDLF is a lot more intuitive and from the heart, at least for me personally. That's what I believe music is supposed to be - an instinct. We've been a band for many years, almost a decade and a half; sometimes it's tough to stay focused on the things that are truly important: simplicity, life changing messages, intuitive creative decisions, and complexity when it is called for. We are guilty of straying from our instinctual side on past albums. In searching for content that is not repetitive and similar to our other releases, it happens; we are only human beings trying to find our way within our own creative minds. This album is confirmation that we did not and should not over think but feel more when writing music. I’ve also read some refer to Till Death, La Familia as something of a rebirth for Ill Nino. What are your thoughts and reaction to that? Sure. A re-birth perhaps of creative intuition followed with positive messages. On the whole, what are your thoughts and views on reviews? It seems that today everyone with a free blog considers themselves a music critic. Do you read everything that’s written about you? How do you take/react to reviews, either negative or positive? I’ve heard from some bands who don’t pay attention whatsoever and I’ve also encountered some who take every printed word very personally. We don't dive into any of that to be honest. I sometimes find myself clicking a link and maybe skimming the content but I've realized a long time ago that you can't please everyone especially when you are playing heavy music. I do appreciate and am very grateful for the self-proclaimed critics that "get it" and even of those self-proclaimed critics that don't "get it". If you dislike what we do, we obviously were not writing music for you. If you connect with our music, thank you, it means the world to us. You’ve been on Victory for over 4 and half years now. How has the label helped sustain your career? Obviously they’ve provided a sense of stability, but what have they meant to you as a band? Victory Records helped us regain ground that we lost with our prior label - no need to mention names. Victory believes in us and that in turn helps us believe in ourselves. We never claimed to make perfect decisions all along but, the older we get, the more accurate we have become in our decision making process. Early in our career, Roadrunner Records did an amazing job of branding the band internationally and establishing a place for us in the heavy music scene. I am very thankful to all involved; they have allowed us an international career that is irreplaceable as we continue to grow with Victory Records. 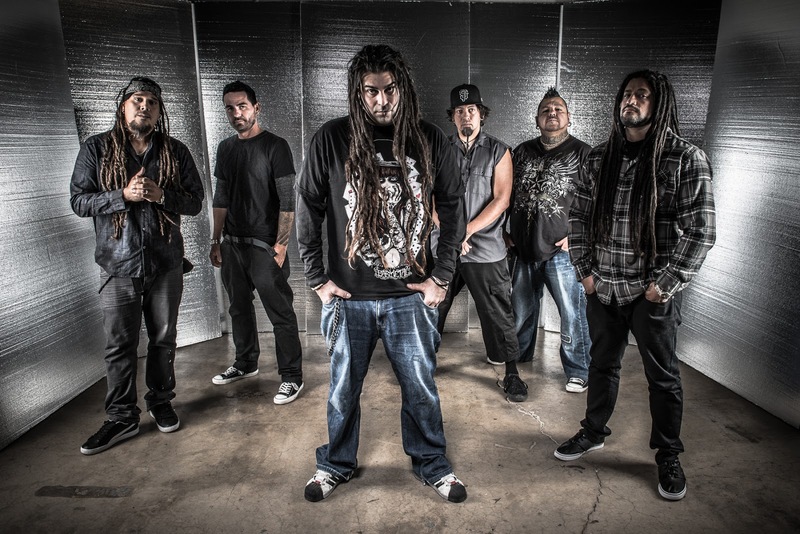 After now seven albums, how do you look back on Ill Nino’s career? Do you ever take the time to reflect on the places you’ve been and things you’ve done? Personally, I am not one to live in nostalgia. Do I reflect? Yes. More than likely to accept what the lessons learned are and what blessings have been brought out way. If anything, it's the great moments of meeting fans that are truly touched by the music that finds a soft spot in my heart. Some guys in the band like to recollect many past memories good and bad. Both ways of living reality may be polar opposites of each other yet both provide ample knowledge into how we, as a group of friends and musicians, should react to situations should they present themselves again. We have had many amazing experiences and some crappy ones as well and we accept both and continue on life's path. Have we seen the best of Ill Nino? You’ve sold over 1.5 million albums and toured around the world with a who’s who of tour mates, so, what’s left to accomplish? So many goals left unattended but we cannot pretend to accomplish them all. All we can do is make music that is profound and positively charged. I hope we continue on our path and perhaps all our goals will meet our reality someday. We have accomplished many and we are very grateful. Our fans have facilitated our career and we owe them the world. What’s next for the band? What can we expect coming down the pipeline? More intuitive life-changing music, a lot of side projects, and insane stage performances. Thank you to all who have believed in us! Check out more on Ill Nino at www.illnino.com.